Logan was taken for a ride around Aberdeen by big-hearted Craig Duthie. An Aberdeen bus driving instructor made a stop in Glasgow last week to pick up a coveted award for his first class volunteer work in the community. Craig Duthie, who works for First Aberdeen, scooped the “Frontline Employee of the Year” at the Scottish Transport Awards. Mr Duthie, of Culter, was praised by judges at the competition for dedicating one of his days off to organise a birthday surprise for a bus-loving youngster with learning disabilities. The big-hearted bus driver took 12-year-old Logan Coleman and his family from Dyce on a 20-mile round trip around Aberdeen on a bendy bus, and even showed young Logan how to drive the bus through First’s giant bus washing machine. 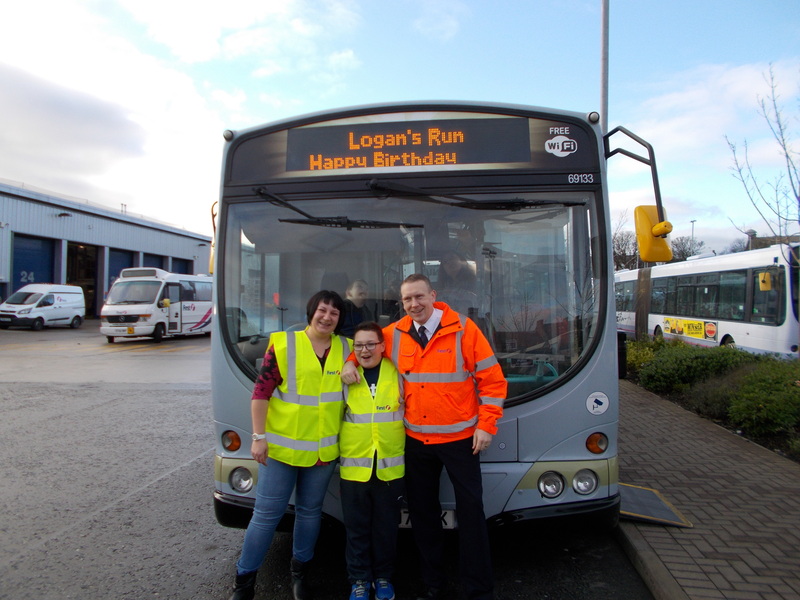 Logan’s mum Louise Coleman said: “We wanted to get him a trip on a bus for his birthday and offered to pay whatever or travel to wherever necessary to make it happen, that’s how much we knew it would mean to him. Speaking at the awards ceremony in Glasgow, Mr Duthie said: “Being nominated was a big surprise, never mind winning. All the nominees were up on stage at this huge event and I was really nervous, when they started to read out Logan’s story, my face must have been a picture.